How are you fantasy football owners feeling after Week 12? Better get ready because like winter THE FANTASY FOOTBALL PLAYOFFS ARE COMING. WE ARE JUST ONE WEEK AWAY! 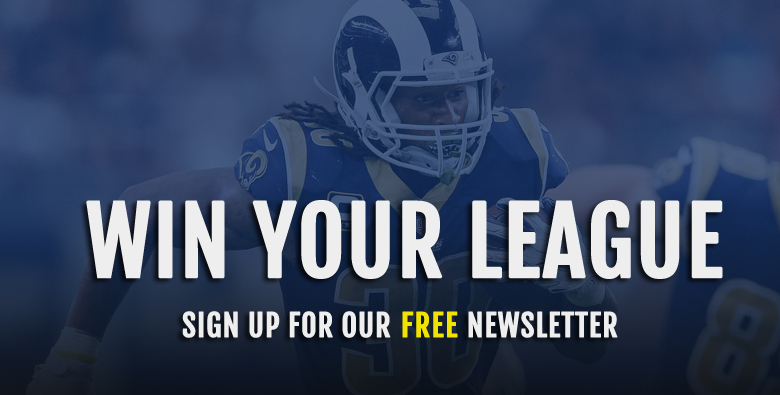 We saw a ton of action Week 12 and saw some productive fantasy outings from last week’s article that included Baker Mayfield, Jameis Winston, Lamar Jackson, Gus Edwards, Josh Adams, John Ross, D.J. Moore, Jonnu Smith, Cameron Brate, and Chris Herndon. The bye weeks are over. Look at your bench and seriously ask yourself if you will ever consider playing that player. If the answer is no, then it’s time drop him like it’s hot! Outside of any of your key handcuffs! 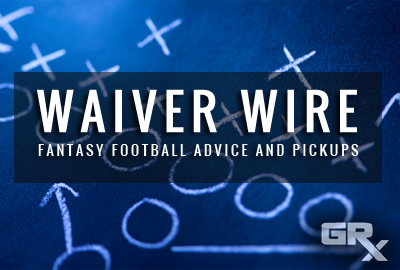 Without further ado, here are your waiver wire targets for Week 13! Via Graham Barfield on Twitter: Since Hue Jackson was fired (after Week 8), Baker Mayfield’s passer rating is 129.5. Only Drew Brees (142.1) has been better in this span. Mayfield finished Week 12 as the QB5 on the week. 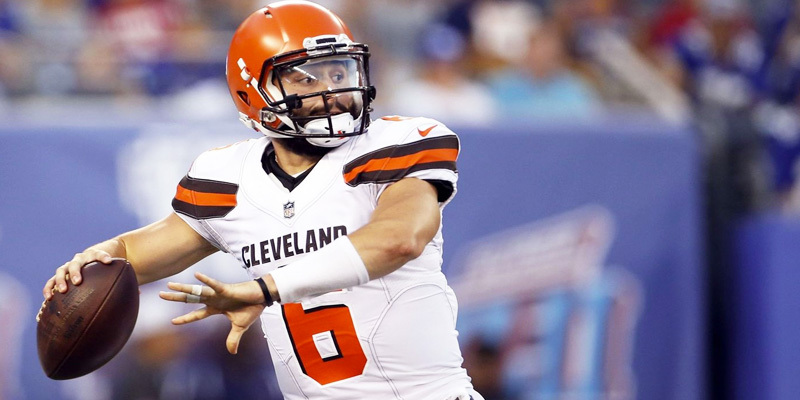 Before his bye week in Week 10, Mayfield again finished as the QB5 on the week. Mayfield is on fire right now, and I think he needs to be added immediately. The Texans while stingy against opposing QBs at home just allowed over 22 fantasy points to Marcus Mariota. He was one of my pickups from last week and Jackson showed up big time. Playing the starting role for an injured Joe Flacco once again, Jackson compiled 11 attempts for 70 yards on the ground and a touchdown. This man’s rushing ability could win you some fantasy leagues. This week he’s got the Atlanta Falcons. They have allowed the eighth most rushing yards per game this season, and have allowed an average of 2.3 passing touchdowns in every single home game this season. They have allowed seven different QBs to throw for at least three touchdowns against them. Jackson is a top-12 option at the position if he starts again in Week 13. Remaining schedule: Home vs New Orleans, home vs Philadelphia, at Indianapolis, and home vs Tampa Bay in the fantasy championships. Obviously, the schedule here is quite juicy, but let’s take a look at Week 13, Thursday night against the Saints. I fully expect the Saints to put the game in Prescott’s hands to have him try and beat them. The Saints are allowing 36 pass attempts per game to opposing QBs this season. Only in three career games has Prescott played in a game where the Cowboys’ defense allowed more than 30 points. The Cowboys are 1-2 in those games with Prescott throwing for over 250 yards and multiple touchdowns in each of those games. Considering the Saints are scoring 37 points per game this season, there’s a strong chance they put 30 up on the Cowboys who have not allowed an opponent to score 30 points since Week 5 of the 2017 NFL season. I fully expect the Saints’ gameplan to be to allow Prescott to try and beat them because in games where Prescott has 32 or more passing attempts his record is 9-8. Whereas when he throws for less than 32 passing attempts his record is 19-6. Even if the Boys’ end up losing 250 yards and 2 touchdowns seem like the floor for Prescott in Week 13. Remaining schedule: At Cincinnati, at San Francisco, home vs Cleveland, and at Oakland in the fantasy championships. Similar to Prescott extremely favorable matchup moving forward for the rest of the season. However, it’s worth noting that Keenum on the road has scored over 20 fantasy points just once with three of his road starts resulting in less than 10 fantasy points. That being said, if he were to ever bust out of his road slump it would be against the Bengals who give up the most fantasy points to the QB position. In the games where Keenum has put up 20 plus fantasy points, he has had at least 39 passing attempts. The Bengals at home have allowed 39.8 passing attempts per game. Still available in a little less than half of ESPN leagues Ekeler is a must-add with Melvin Gordon slated to miss the next few weeks. 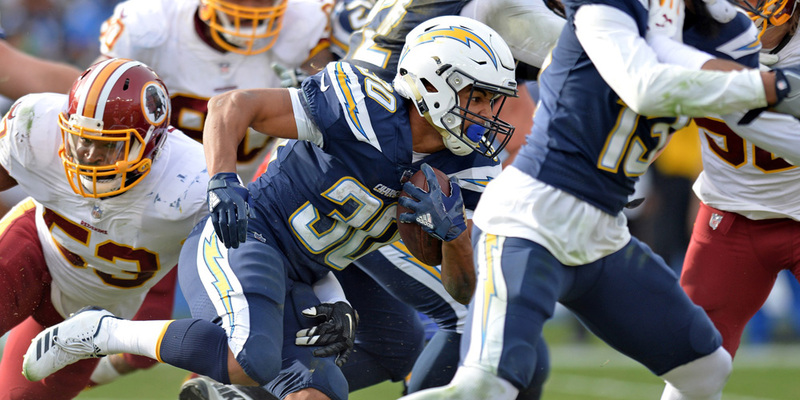 Ekeler did damage in the later part of Sunday’s game against the Arizona Cardinals. He carried the ball five times for 35 yards and scored a touchdown, and also caught 10 of his 11 targets for 68 yards. However, we did also see that when Gordon missed completely back in Week 7, Ekeler scored a meek 11 fantasy points against a tougher Titans’ run defense. That being said Pittsburgh gives up the 7th fewest fantasy points to the RB position, but they were just run all over by Phillip Lindsay and the Denver Broncos. The Steelers have actually been run over the last three weeks allowing 4.5 yards per carry and 132.7 rushing yards per game. That being said if Ekeler is owned then you need to add Justin Jackson less than 1% owned. Jackson actually saw more carries than Ekeler did in Week 12. Jackson carried the ball seven times for 57 yards on Sunday. There’s a real possibility that the Chargers’ do not decide to feature Ekeler creating the narrative that Jackson could be the better long-term option. Leonard Fournette has been suspended for one game by the NFL after his fight during the Jacksonville Jaguars’ loss to the Buffalo Bills on Sunday. I think that Yeldon is the better add (if available) than Carlos Hyde who is less than 39% owned. 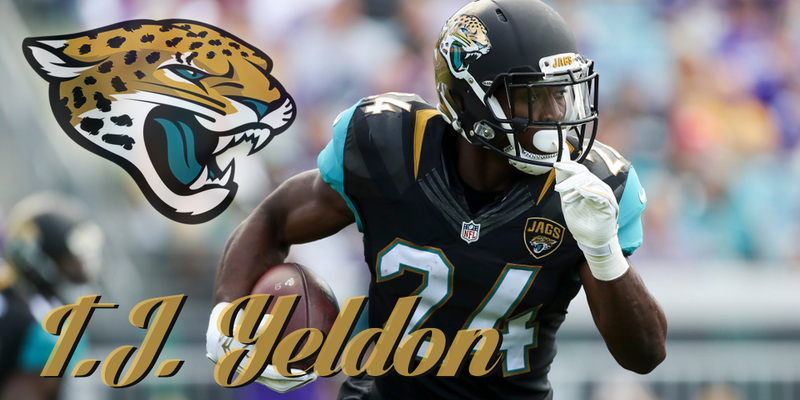 My reason for that is Yeldon will retain the role as the primary pass-catcher making him more useful across PPR formats. Yeldon played the majority of snaps in the 2-minute offense before Fournette left in the third quarter. Yeldon then saw the majority of snaps after Fournette left. On the day Yeldon saw 35% of the snaps versus Hyde’s 23%. The Jaguars also ran the ball significantly worse after the departure of left guard Andrew Norwell who is likely to be placed on injured reserve. The Colts’ run defense is also no pushover as they have allowed the tenth fewest rushing yards over their last three weeks and just 3.5 yards per carry the third best in the NFL over that time period. Also, Cody Kessler has been named the starter for the Jaguars. When he played back against Houston his breakdown of targets went: Donte Moncrief 6, Yeldon 5, D.J. Chark 5, Keelan Cole 4, Dede Westbrook 4. His lone touchdown pass went to Yeldon. With Kessler already showing a tendency to check the ball down to Yeldon and a negative game script probable, Yeldon seems like a lock. Hyde is a player you are just hoping scores a touchdown on the goal line. The Colts have only allowed five rushing touchdowns all season. Kerryon Johnson does not look probable to play in next week’s game creating a massive opportunity for Theo Riddick to take on an even larger role in the passing game. Over the past four weeks, Theo Riddick has run the fifth most routes at the running back position (105) just behind stud running backs Christian McCaffrey, James Conner, Todd Gurley, and Ezekiel Elliott. That is despite Riddick only playing around 50% of the snaps. With Johnson out along with Marvin Jones who has been just put on injured reserve, I expect the Lions’ to lean even more on Riddick in the passing game. Riddick has averaged 10.5 fantasy points per game over the last four weeks. Facing the Rams defense that has allowed the third most fantasy points to the RB position Riddick can be added across PPR formats and started. And obviously, if Riddick is owned or you play in a standard league where the emphasis on touchdowns is more heir apparent, look no further than LeGarrette Blount less than 19% owned. Blount rushed 19 times for 88 yards and two touchdowns and brought in his only target for 15 yards on Thanksgiving. He’s going to get carries and goalline work, but the game script against the Rams could make it difficult for them to really get Blount going. 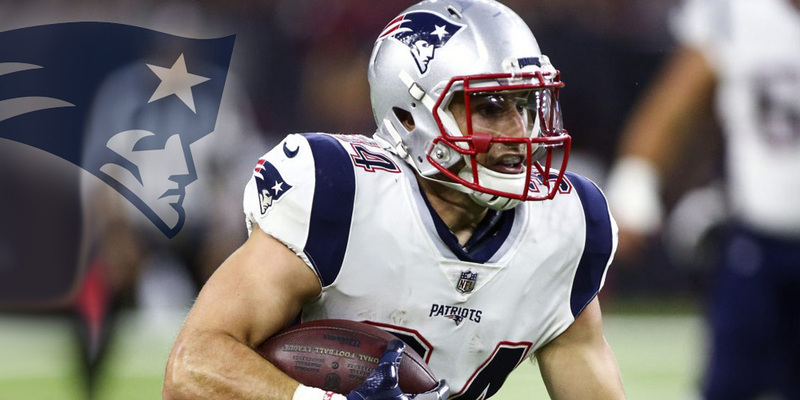 The Patriots activated RB Rex Burkhead (neck) off injured reserve. Burkhead was highly effective in the Patriots’ offense a season ago and could have serious value in the New England offense. He can play in Week 13 against the Vikings. His return does pose some threat to workloads of Sony Michel and James White. White would probably take the biggest hit of the two backs just based on their overage usage in the passing game. Hines played in 37.68% of snaps on offense in Sunday’s 27-24 win over the Dolphins, en route to carrying nine times for 28 yards and catching both of his targets for 22 yards. The thing to point out about his usage specifically is that once Marlon Mack departure it was all Hines catching and running the ball. If Mack isn’t cleared from his concussion by Week 13, Hines would be in line to head the Colts’ Week 13 backfield, with Jordan Wilkins also in the mix. Jacksonville’s defense plays much better at home making it a tough task for Hines to truly make a difference in the run game. The Jaguars have allowed the fourth-fewest receptions, targets, yards and second fewest receiving touchdowns to the RB position this season. Miller ran 29 routes in Week 12, eleven behind Allen Robinson. He finished the day with just three catches for 41 yards and no touchdowns. The reason to continue excitement about Miller is his usage in the slot. 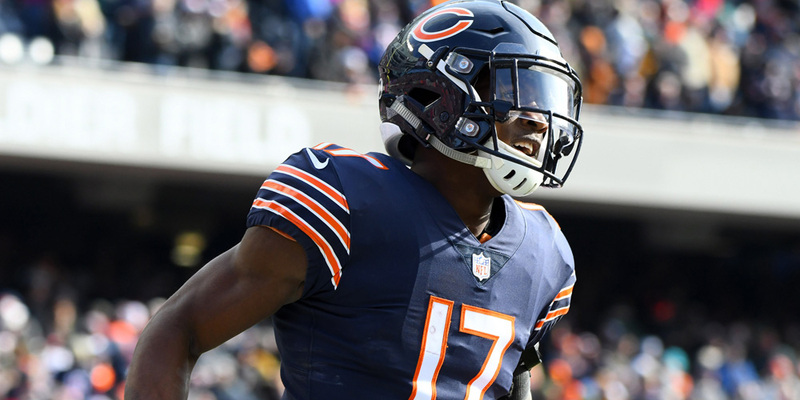 Being a slot receiver for fantasy football purposes creates so many mismatches and opportunities for players to reach high levels of production. This season Miller has played on a team-high 65.7% of snaps in the slot. He also has the most catches (24), most yards (341), and most touchdowns (4) from the slot. In Week 13, the Bears will be playing the Giants. The Giants have not allowed any touchdowns to slot receivers this season. 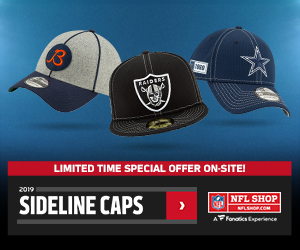 But the reason to add Miller is for the shootout in Week 14 against the Rams. Mitchell Trubisky should be returning at the time and with that, Miller should be returned to your starting lineups. 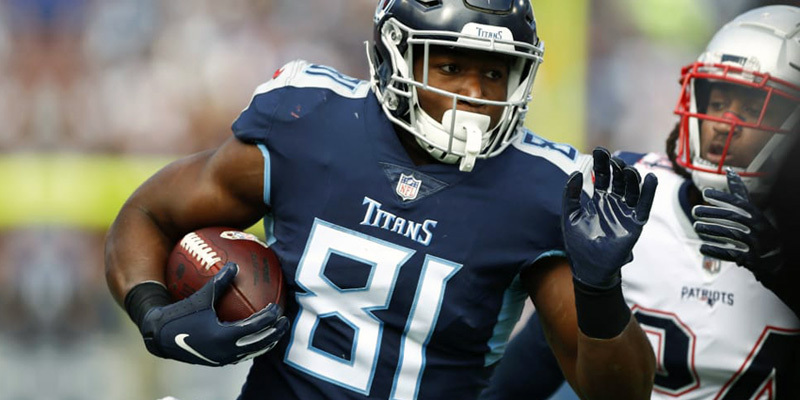 Reynolds is an immediate add across all fantasy formats. The Rams run three-receiver sets on over 95% of their snaps and Reynolds will fill the role as an outside receiver on the Rams offense. Being involved in such a great offense as we saw in that Monday night shootout will translate to fantasy points. In Week 11, Josh Reynolds caught 6-of-8 targets for 80 yards and one touchdown. In the absence of Kupp, Reynolds now has ten receptions for 141 yards and three touchdowns. Coming back from his bye week but is worth adding if you are in a need of wide receiver in Week 13. Especially with the Lions being the team they take on in. The Lions have allowed the seventh-most fantasy points to the WR position over the last four weeks. The bonified number one receiver on the Bengals with Green out, Ross had seven targets again and caught his third touchdown in as many weeks. Outside of the touchdown, Ross did not do much with just 31 yards, but he will continue to see an uptick in volume with no A.J. Green. The matchup in Week 13 sees the Bengals going up against Denver making Ross a high-end WR3. Denver has allowed the 5th most fantasy points to the WR position over the past two weeks. DeSean Jackson (thumb) is visiting with a specialist in New York to determine the best course of action for handling his injury, Greg Auman of The Athletic reports. 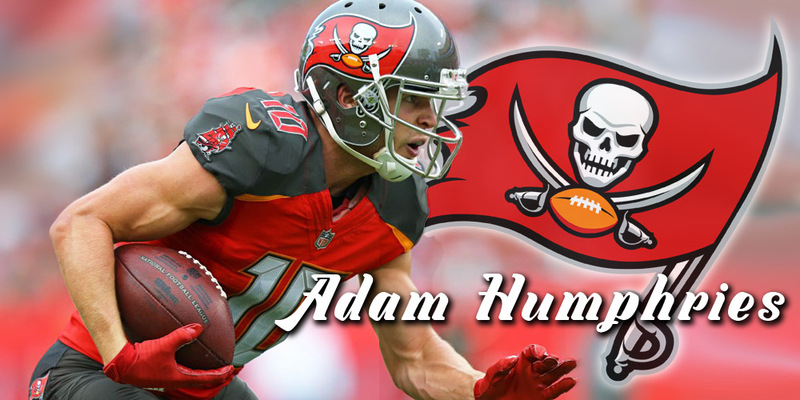 This could open even more things for slot receiver Humphries to thrive for the Buccaneers. Winston absolutely loves targeting this guy. He currently locked into that number two receiver role on the Buccaneers. Since Week 6 he has now scored over seven PPR fantasy points for seven straight weeks. In those seven weeks, he has scored double-digit fantasy points five times and his best games have come with Jameis Winston under center. He had his best game of the season against Carolina in their first matchup making him a great play across all formats. He had eight receptions and 82 yards receiving in his first game versus the Panthers this season. He snagged two touchdowns as well. With the absence of Pierre Garcon and Marquise Goodwin, Pettis stepped up big. He led the 49ers’ wide receivers in targets and in snaps played (90%). Pettis brought in four of seven targets for 77 yards and a touchdown. With the 49ers in a lost season, it would make sense for them to get their rookie receiver more playing time with guys like Garcon uncertain with their future. The matchup against Seattle is also pretty good with the Seahawks allowing the fifth most fantasy points to the WR position over the last four weeks. I talked about this guy all week and he just keeps on delivering! Smith has now scored double-digit fantasy points in four straight weeks in PPR. With Mariota, you have to like Smith as an add this week. I think you can start him as well against the Jets. Need a tight end? Look no further than Uzomah who led all tight ends in targets with 13 in Week 12. He also ran 49 routes which were the most of any tight end in Week 12. Unfortunately, even with all of the usage on the field, he turned those numbers into six receptions for 39 yards. The matchup is good this week though because the Broncos have allowed the fourth-most receiving yards, third-most targets, fourth-most receptions to the TE position over the past two weeks. LaCosse is primed for a larger role with Jeff Heuerman (ribs/lung) expected to miss the rest of the season, Mike Klis of 9News Denver reports. LaCosse already took advantage during Sunday’s 24-17 win over Pittsburgh, hauling in three of four targets for 34 yards and the first touchdown of his career. Cincinnati gives up the 5th most fantasy points to the TE position. Buffalo gives up the most fantasy points to the DEF position. The remaining schedule Weeks 14-16: San Francisco, Cleveland, and the Raiders respectively. Arizona gives up the 2nd most fantasy points to the DEF position. Green Bay averages 3.3 sacks per game.